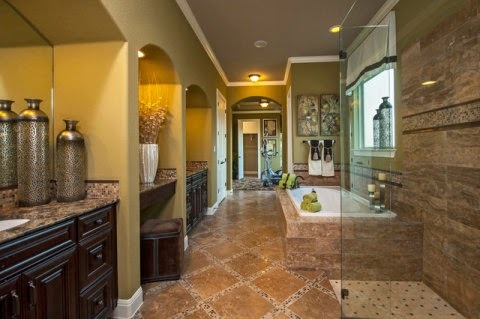 Choosing the right tile for your bathroom can be a challenge. There are so many different colors and styles. Where to start can often be a challenging question. I would recommend that you first choose a theme for your bathroom. Once you have your theme then you begin to narrow down your color selection. Go to your local dealer or store and ask for tile samples that you can take home. Get them in different sizes. I have found that larger tiles make your bathroom look smaller while smaller tiles, makes it look more spacious. Always consider the texture of the tile you are choosing and where it will be placed. Certain tiles get slippery when wet and therefore are not ideal for standing on them in the shower. Also each tile usually needs its own sealants so do your research if you are installing yourself. Above all have fun and don’t be afraid to go outside the box unless you are sure you will be selling your home soon. If that is the case then I would recommend using neutral colors.